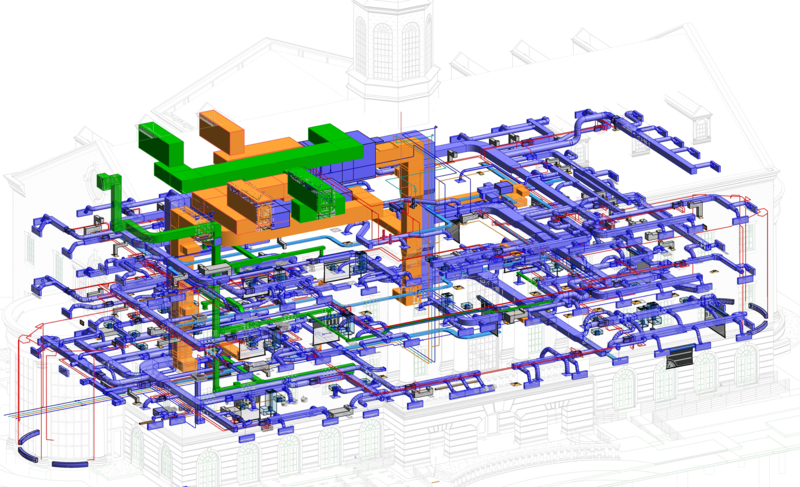 Building Information Modeling (BIM) - Purdy-McGuire, Inc.
Purdy-McGuire, Inc. has forwardly embraced BIM technology, and has used Autodesk Revit® since November 2007. The software provides a virtual environment of the building with architectural and structural models to improve coordination throughout design. Systems can be arranged through clash detection providing a more cohesive design leading into the construction of a project. A method has been developed to quickly create documentation that is now used by other design firms. In addition, we have developed MEP Revit® Families for third party manufacturers.